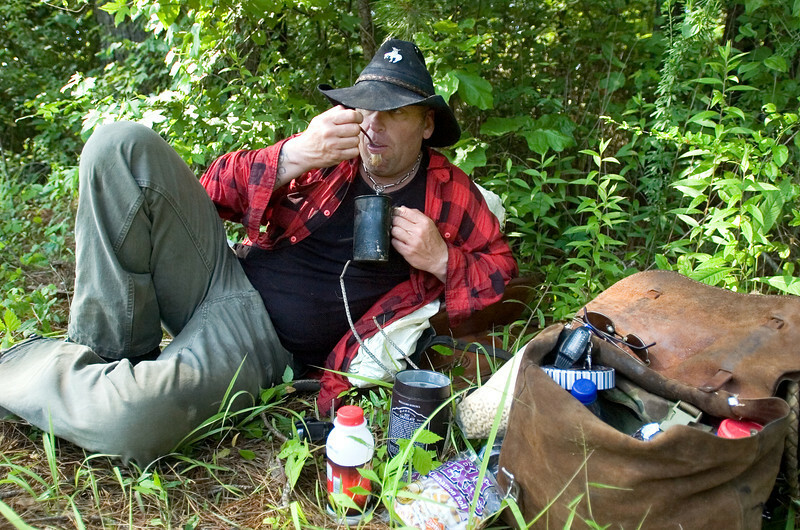 Sunday, June 7, 2009, somewhere in Bibb County, Ala. Joe Guy eats his breakfast in a field along Highway 82. He'll spend the next several hours, the hottest part of the day, here. He broke (started) "Bon Jovi," his horse, only a week ago and doesn't want to put him to the limit.